In the three months since it debuted, Windows 10 is reportedly found on more than 120 million desktops, laptops and tablets. This is up 10 million from the 110 million install base that Microsoft disclosed earlier this month when it announced the Surface Pro 4 and Surface Book. The 120 million figure is not an official number, but it's an estimate reported by Winbeta, citing internal sources. Microsoft's goal with Windows 10 is to get the operating system onto as many as one billion devices within three years of release. Given that Microsoft will expand Windows 10's reach to include phones, Xbox and Internet of Things, the number seems plausible. If the momentum for Windows 10 installation continues, Microsoft may be shy of a billion Windows 10 install in 24 months, a year ahead of schedule. 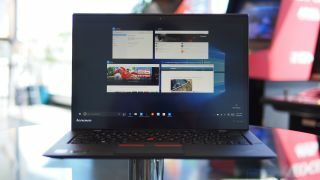 Early reviews for Windows 10 have generally been positive, but there are still a few glitches to be ironed out in our long-term testing of the operating system. Microsoft is slated to release a significant update for the OS in November, which will likely attract more holdouts to upgrade. The biggest feature with the refresh will be a messaging app that integrates with Skype. It will be Microsoft's answer to the Messages and FaceTime apps on OS X El Capitan. Additionally, to help grow the number of Windows 10 users, the OS will also be available as an upgrade for Xbox One console owners, which brings a new interface, universal apps and the ability to play Xbox games on your PC when you're on the same Wi-Fi network. PC manufacturers are also launching new laptops, desktops, convertibles and tablets. These new systems, which come with more powerful processing and graphics power thanks to Intel's Skylake or AMD's sixth generation APU, will likely tempt owners to upgrade to new systems. By Intel's estimates, over a billion PCs in the world are over three years old, and half of the world's PCs are over five years old. Making the case for users to upgrade to new hardware and not just software, Intel Client Computing Group Senior Vice President and General Manager Kirk Skaugen said that compared to a system from five years ago, "Skylake delivers 2.5 times faster compute performance, 30 times better graphics and three times the battery life."